Retirement means freedom and time to enjoy life. At Lexington Square, seniors can experience the comfort and convenience of living at home without all the upkeep. Need a lifestyle change? You’ve come to the right place. We offer housekeeping and laundry services, pharmacy and grocery delivery, special outings and trips, and dozens of other amenities – all at your fingertips. After downsizing, consider reinvesting those funds into an Entrance Fee to secure your spot. Lexington Square offers several Entrance Fee options, as well as 14 different floor options. The choice is all yours. Choose a home that best meets your needs and budget. Need help finding your perfect abode? Our sales team will work with you every step of the way to target the best floor layout and monthly plan. Your new lease on life is just a phone call away. Apartments start at just $98,500 with monthly fees starting at $1,102. A little help goes a long way here at Lexington Square. At our Lombard and Elmhurst locations, seniors in need of support, supervision or assistance with daily living activities can get the help they need. From bathing and dressing to medication and incontinence care, our staff are there to lend a helping hand without overstepping their boundaries. Our licensed Assisted Living program offers a variety of floor plans and care levels to meet your unique needs. You should never have to compromise when it comes to your health, and we have connections to make a difference. Our relationship with the Lexington Health Care Centers and The Loyalty Program ensure that you’ll receive long-term nursing home services (as well as great discounts!) if you should ever need it. While assisted living is not eligible for Medicare or Medicaid funding, we do accept many long-term care policies and Veterans Benefits. Assisted living fees start at just $5,094 and includes the first level of care. At Lexington Square, seniors with Alzheimer’s and other dementias have a place to call home. Our staff have the skills needed to help memory care patients live fun, engaging and meaningful lives. At our Lombard facility, we offer a variety of apartment styles and individualized care that focuses on each senior and their personal needs. With our relationship with the Lexington Health Care Centers and The Loyalty Program, memory care patients get priority access to long-term nursing care services (with discounts of course), should these services ever be needed. Seniors also have the choice of several floor plans and care levels. Assisted Living is not eligible for Medicare or Medicaid funding, but we do accept many long-term care policies and Veterans Benefits. At Lexington Square, memory care fees start at just $5,600 and are all inclusive. 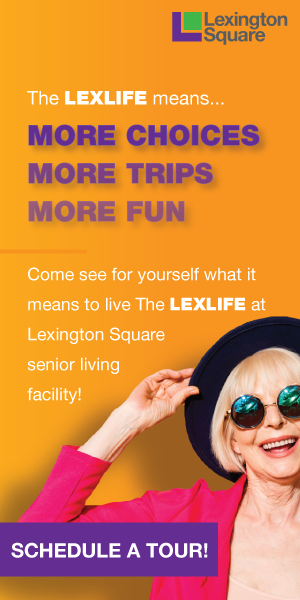 Want to learn more about senior living costs at Lexington Squares? Fill out the form at the top to contact us!